Vlillirier has fallen. After seven years in Gallente hands, the Caldari have wrested control of one of the most well-defended systems in the warzone. Some called it impossible, but after thousands of losses on either side it finally happened. They say history is written by the victors, but I figured I might as well get my word in while they’re still celebrating. There’s no doubt in anyone’s mind that citadels had a major part to play in the battle for Vlillirier. I would go as far as to say that without them, the Gallente Militia would still hold the system, despite having State forces on every front. 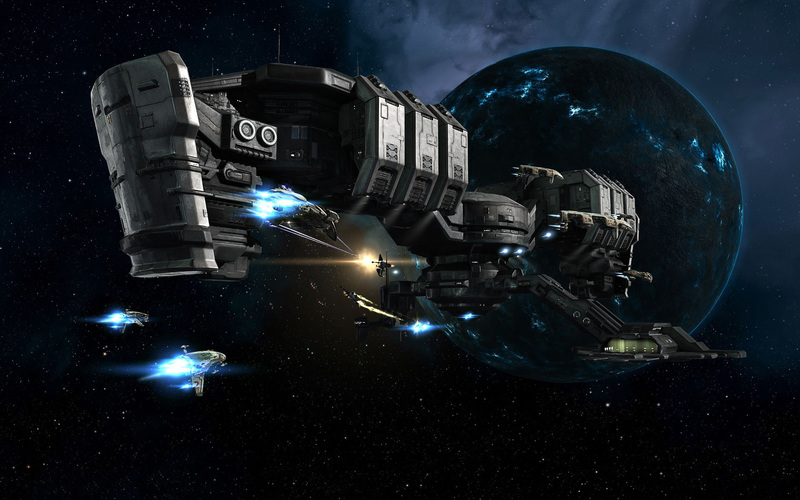 Before the Citadel expansion, attackers would have had only two other reasonable means of assaulting a system. They could have either set up nearby in a less well-defended system or set up a POS to stage assets from. Using another a nearby system to stage out of increases your reship time threefold while leaving your forces vulnerable to gatecamps, making it less than ideal. The beachhead option of setting up on a moon with a POS also wasn’t always the best. A well defended system could be easily moonlocked and they were honestly much more vulnerable. Nowadays, with the Astrahus-class citadel, you can pop one down for a little over a billion ISK; you could drop four of them for about 5 billion. Place them all down during your enemy’s worst timezone and it’s almost certain that at least one will come online. Given that you are able to set timers, it means that your new beachhead could potentially be open for business for at least a week. It’s been said that once a citadel is online and active in a Facwar system, it will fall. During the battle for Vlillirier the Caldari citadels turned every plex into a meatgrinder of cheap ships. In most cases there was little point in using a “proper” doctrine on either side since it would eventually succumb to the hordes of cheap Atrons and Talwars and you would lose the ISK war. It’s safe to say that without the quick reships and repairs that this would never have happened and things would look quite different right now. It’s no secret that the Caldari have recruited the vast majority of FW newbros in since Ascension launched. Easy access to the best market hubs in the game plus what seems to be a well-planned recruitment drive ensure this. It’s now the case that Caldari militia members outnumber Gallente by a factor of 3:2 in active pilots day-to-day. It doesn’t necessarily matter that the vast majority of these are brand new players sitting in underwhelming ships. When they’re all herded together by a competent FC, you’re looking at a solid fighting force. Perhaps they might not shoot the primary or they might not control their range so well, but taking on double your numbers in raw bodies is a steep task. I myself found while FC’ing in Vlillirier, that many times it was almost guerilla warfare. Many of the skirmishes involved trying to kill just a few before the blob got their hands on you. In addition to pure numbers, you have to consider that a single Alpha newbro in a Catalyst or T1 frigate can take a plex just as easily as a veteran Omega. By enticing them with the newfound tier 3 status, Alpha clones were able to spread out across the entirety of the warzone and join the farmers in offensive plexing. This richer breed of newbros, fueled by positive reinforcement and recent victories was a decisive force in taking Vlil, especially against burnt-out defenders. While I won’t dip too much into this topic as space politics aren’t my strong suit, it’s definitely worth considering the impact of local pirate groups. The most obvious of which is Exodus, owners of the citadels through which the Caldari staged. By providing that foothold, as well as decent numbers to supplement Calmil, they were a big player for the first few weeks at least. To further exacerbate the situation, it does look like the Caldari have made some new friends by way of Escalating Entropy and Shadow Cartel. Groups like these can be the focal point one which the fate of a battle rests. If we took pirate groups out of the equation and considered Gallente vs Caldari where heavy assets are concerned, then I feel we would still hold the edge. By having that constant batphone on hand though, taking down any citadel or committing a battleship fleet with caps is hard to justify. In order to best describe the action of the past few months, I’ve invited a few guests from both sides to comment on how it all looked from the boots on the ground. 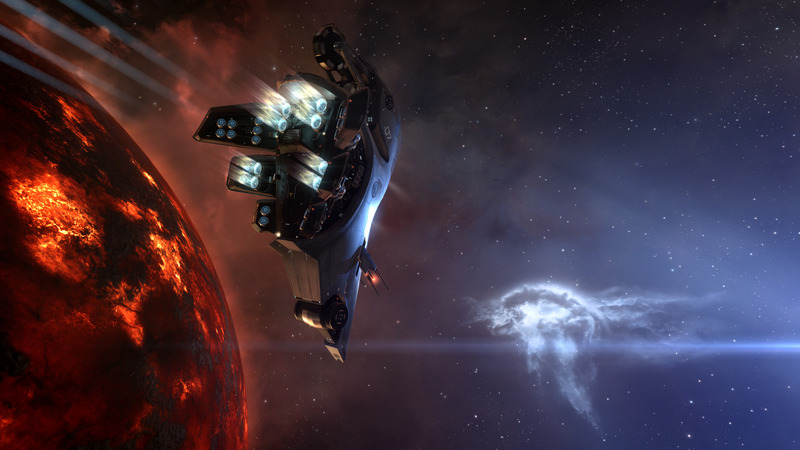 “It feels great to see such a long-term, concerted effort from all of Caldari Militia finally bear its fruits. And boy, they sure do taste sweet! I think everyone involved in the siege of Vlillirier is aware of the massive effort Plexodus and SQUIDS in particular put into this – they were pounding at Gallente defenses relentlessly for weeks before the rest of CalMil joined in and finally broke the resistance. 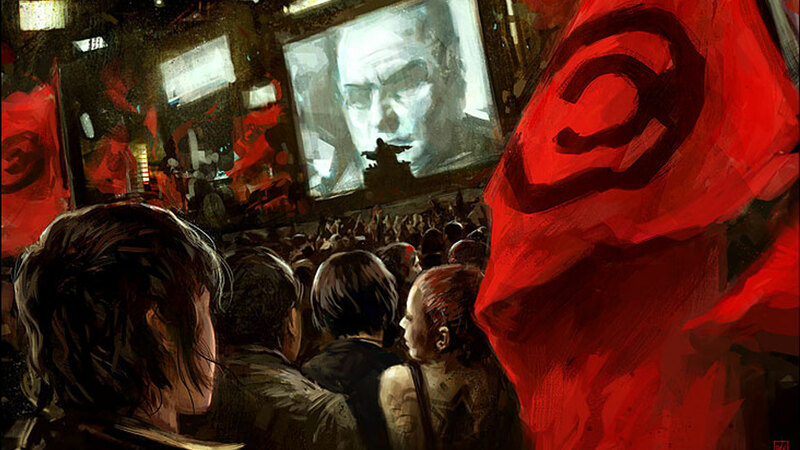 However, on behalf of Ylein Kashuken from SQUIDS, one of our main FCs in Vlillirier and one of the driving forces behind the current Caldari offensive, I want to explicitly thank all of our militia for the coordinated effort. Our FCs did a stellar job of integrating lots of general militia pilots into the siege fleets, and these newer and/or independent pilots played a vital role in this victory. You see, I think we’ll see a lot of people ‘blaming’ their defeat on the influx of Alphas, on enemy Citadels (SQUIDS had one, and so did Exodus), and pirate interference; and while all those are valid factors, they are really selling short the huge amount of coordination and planning that all the CalMil Coalition put into this. So we had the strategy, the numbers, the determination, and of course the doctrines in place to beat GalMil – even when outnumbered in certain timezones, we were able to counter and beat Gallente fleets with more numbers because they kept flying pure attrition doctrines. “It was a lot of fun bolstering the Caldari Militia efforts over the past few weeks, and it feels great to have played a part in flipping Vlillirier. I’m glad Plexodus can now dock in their home system for instant repairs and ship insurance. Having lived in the longest held GalMil system along with some of their best PVPers for a long time, we at Exodus are glad to have booked a win and look forward to seeing what happens next in the warzone. After all is said and done I really just have to say GF Squids. I hope to see you more on the battlefield.